Fabric- Heavier Weight Fabrics ideal for Bag and Cushion Making . 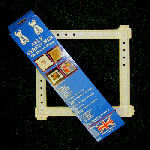 The Able Stretcher Needlework Frame. 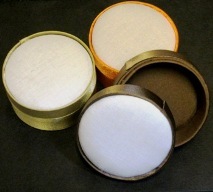 No need to sew your fabric on .comes in three different sizes .9,12 and 16 inch . these measurements refer to the max internal size of frame when made up . Hand Aids pairs of gloves for working with craft . Beads with Large Centre - Perfect for Knitting! Clasps of Every Possible Variety! Storage boxes, bead counters and gadgets you can't live without!